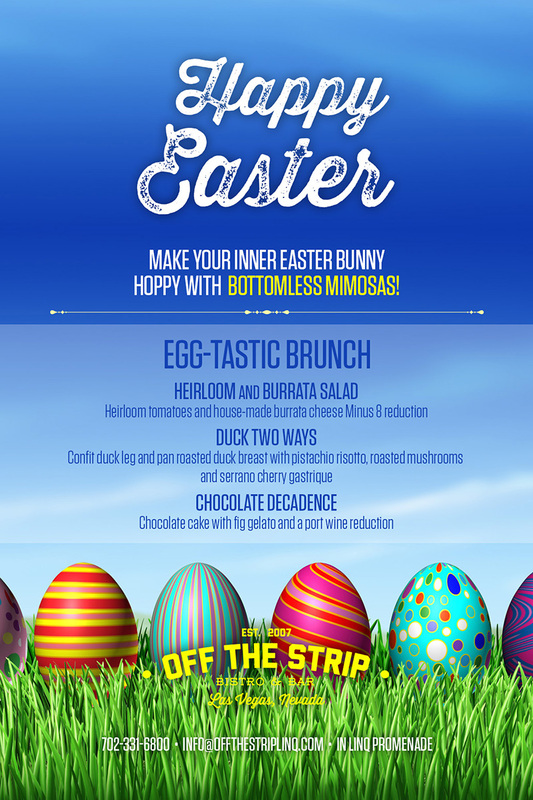 Off The Strip has put together an Easter Brunch that will make any Easter-Lover extremely happy. Not only do we have a pre-set, gourmet menu, we have an amazing atmosphere that welcomes families, friends, and strangers to you restaurant. If this isn’t enticing maybe this will be – BOTTOMLESS MIMOSAS ARE BACK FOR EASTER ONLY! !